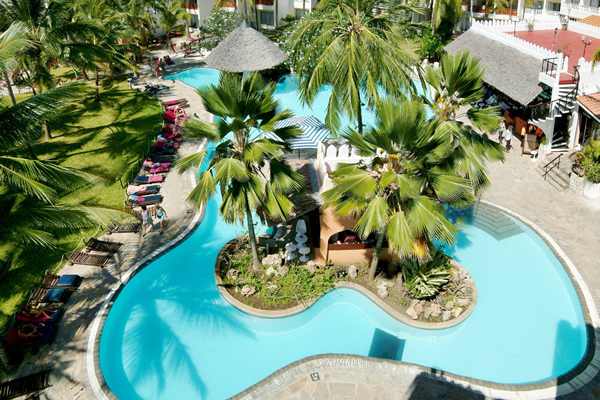 Tsavo East West Safari in 3 Days departs daily from the Kenya coast beach resorts and return to the same . 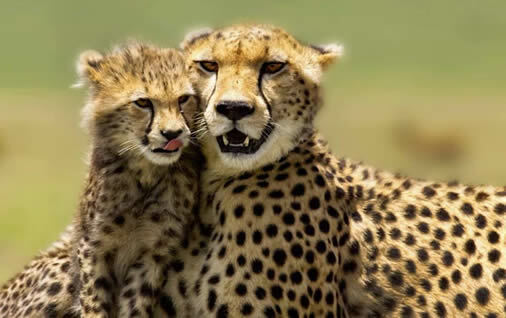 Tour explores both Tsavo East and Tsavo west national parks in complete 3 days spending one night in each of the parks. 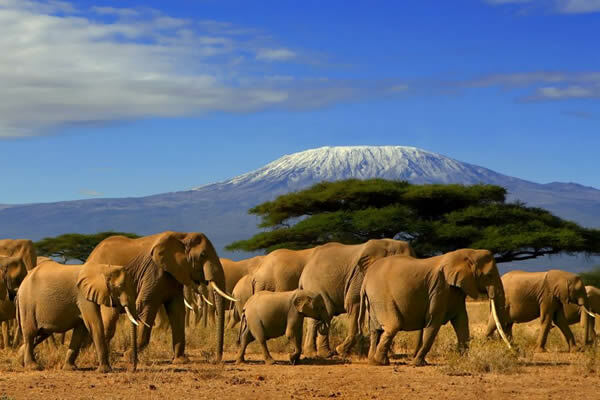 Tsavo East national park remains a leading safari destination from Mombasa famous for its red colored Elephants and its a host of the Big five wildlife. We shall spend a day in this park in search of the Lion,Buffalo,Giraffe ,Cheetah,Leopard,Ostrich and a myriad of other wildlife. 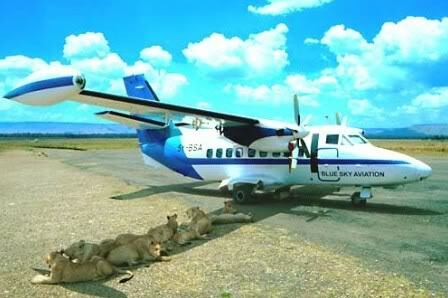 Tsavo west National park has its own attractions. 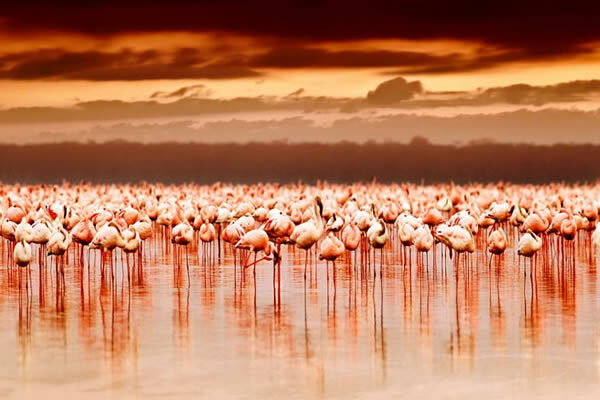 This attractions are are #1 priority in our things to see in this wildlife safari. The Rhino sanctuary is wildly featured in this park visitation. We shall spend some time at the Mzima springs watching exotic fish ,Crocodiles and Hippos in crystalline clear underwater through a glass . Information shall be shared by your driver guide regarding its source and the location. Our tour shall not be complete without being taken on an elevated point to see mount Kilimanjaro from a distance. Chyulu hills are clearly seen nearby and other scenic valleys. Shetani lave flow can not be ignored as another attraction in this Tsavo west national park . 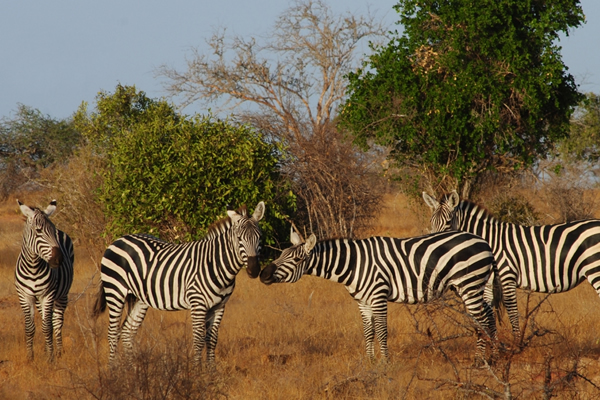 It is in this park where we shall encounter more wildlife viewing in closer vicinity during our game drives. 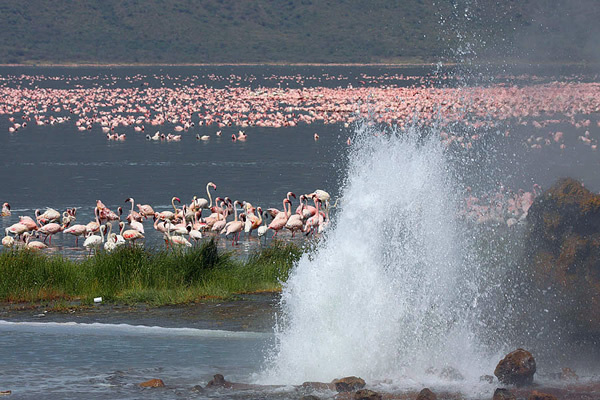 Days spend in this safari are well utilized since we spend most of the time in the park enjoying wildlife viewing. Note. This safari tour can be customized to end in Nairobi or Join the standard gauge train in voi for onward journey. 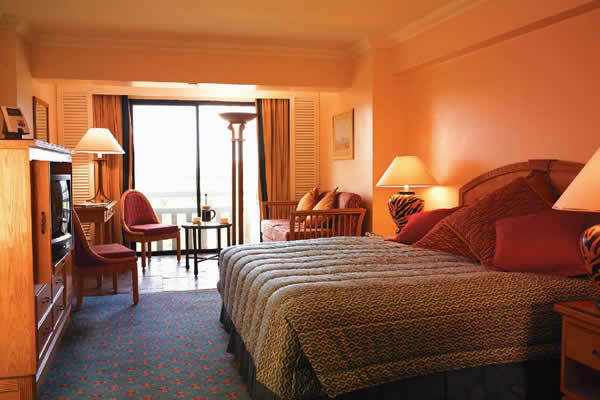 Depart from your hotel before sun rise and drive along the Mombasa – Nairobi road to the Tsavo east national park. Enter the park via Bachuma gate. Game drive after entry in search of the big five. 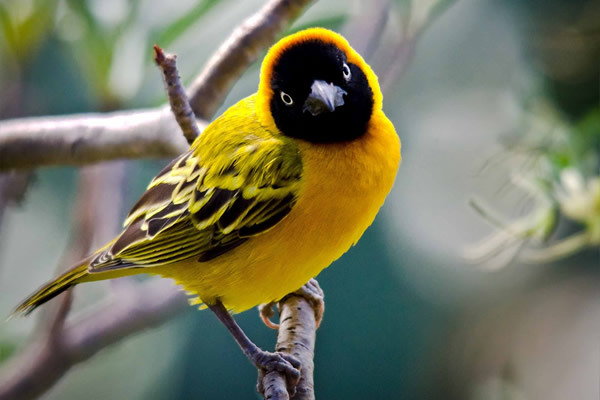 Visit the famous Aruba dam where lots of wildlife can be seen. Later drive to a lodge / luxury tented camp for check-in & lunch.An afternoon game viewing drive is scheduled later in the day. This relaxed game viewing drive takes us on the trails of the big five with magnificent views of the African sunset. Dinner and overnight will be at a lodge / luxury camp. 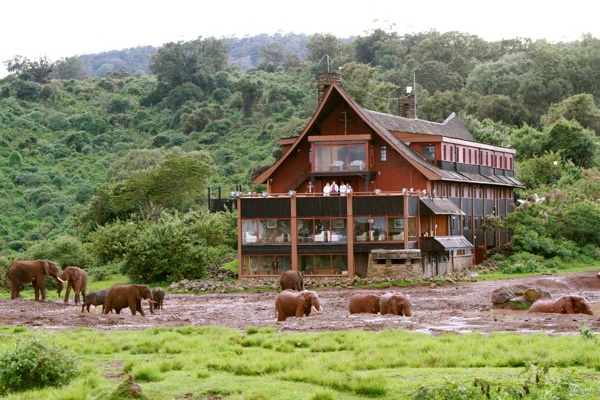 Breakfast will be followed by a checkout and drive to Tsavo west national park. Visit the Rhino sanctuary during this en route scenic game viewing. Arrive at lodge / luxury camp for check-in and lunch. Afternoon game drive will later on follow and will include a visit to shetani lava flow point which provides excellent distance view of mt. Kilimanjaro with its snow capped peaks. Return to your Lodge/ Luxury Camp for dinner and overnight. Pre-breakfast game viewing drive before sunrise when nature is at its best with the predators out for the hunt and the grazers browsing the soft, dewy vegetation. Its at this time when Natural colours dominate the scenic volcanic terrain. Return to our lodge/camp for breakfast. Thereafter checkout and proceed for the mid-morning game viewing with a visit to Mzima Springs with more game viewing en-route. “A welcome reprieve in this semi-desert terrain” We view hippos, crocodiles, exotic fish and unique migratory birds. 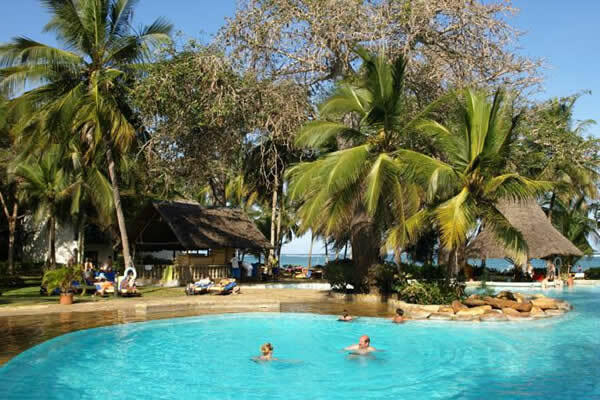 This exciting exploration experience is followed by an exit from the park and drive back to Mombasa with our lunch enroute at lion hill restaurant. Arrive in Mombasa late in the afternoon. Peak season: July to October | 22nd Dec to 26th – 31st Dec to 02nd Jan. The prices given below are classified based on the level of accommodation used.Please choose your option depending your budget and style.